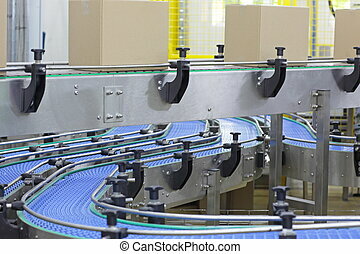 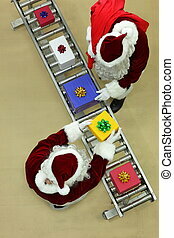 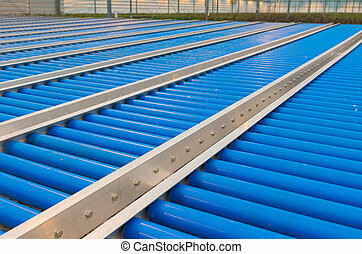 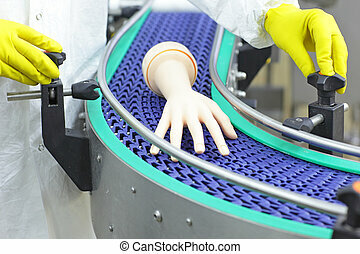 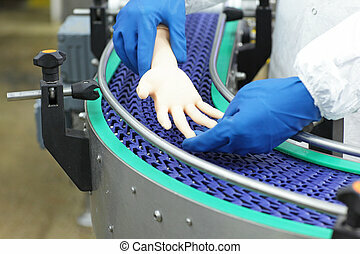 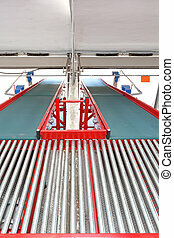 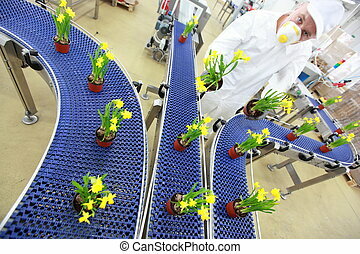 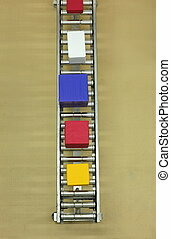 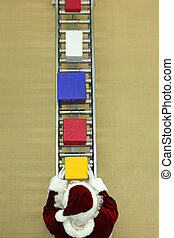 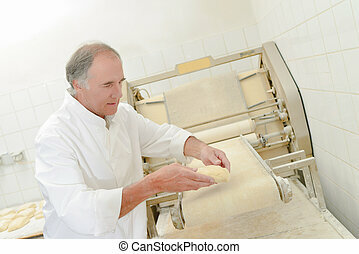 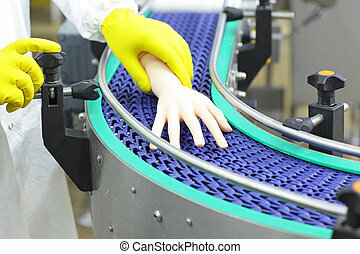 Automation - conveyor belt. 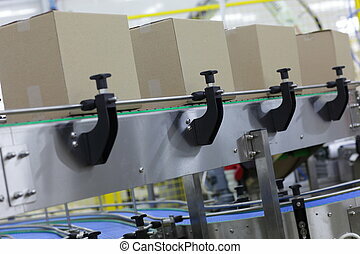 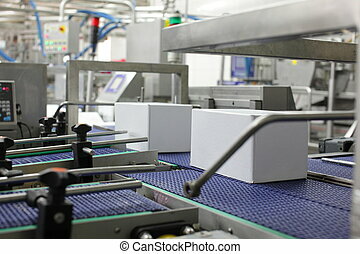 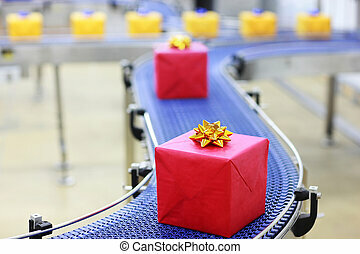 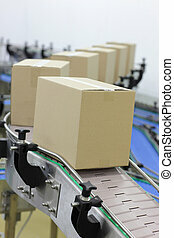 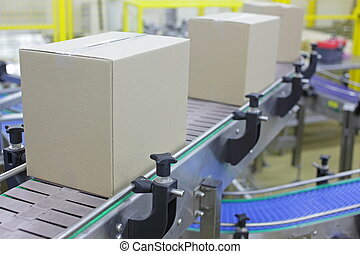 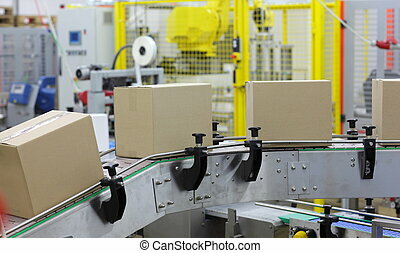 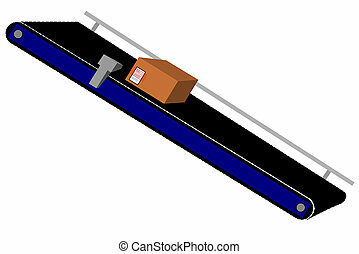 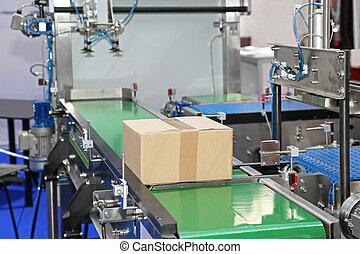 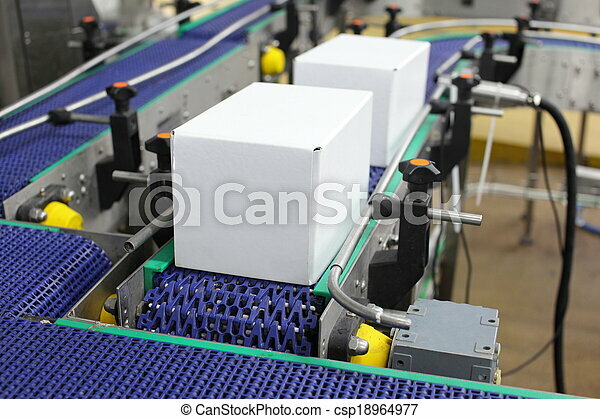 Cardboard boxes on conveyor belt in plant. 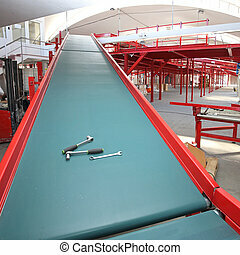 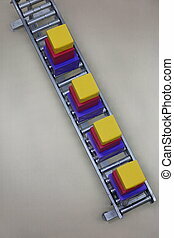 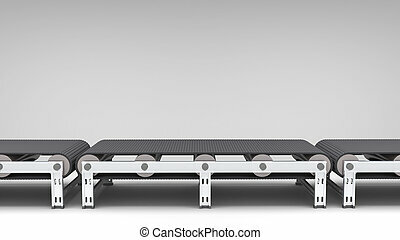 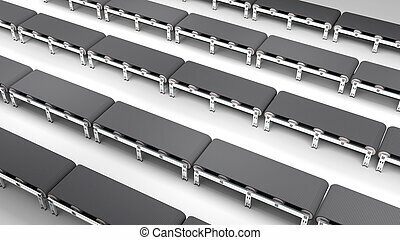 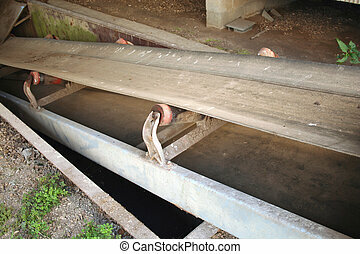 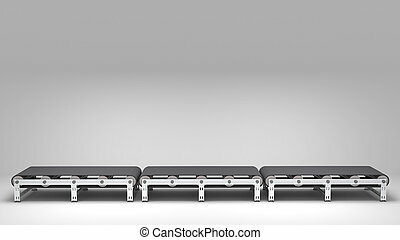 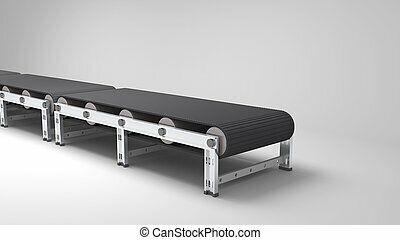 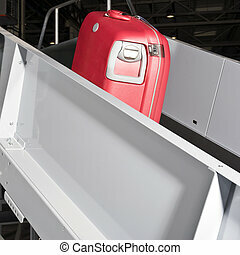 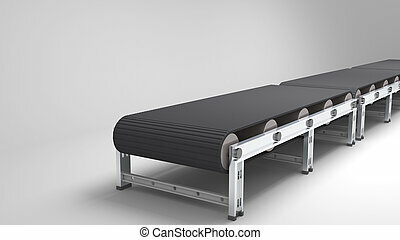 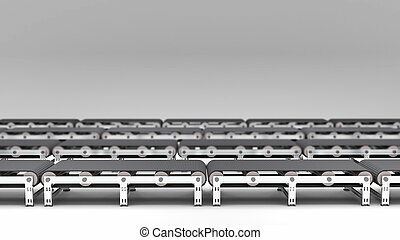 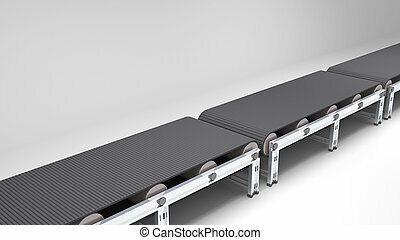 empty conveyor belt for use in presentations, manuals, design, etc.